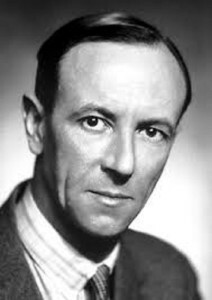 Chadwick was born in Manchester, England, on October 20, 1891, and graduated from Manchester University in 1911. He stayed there to work with physicist ERNEST RUTHERFORD following his graduation. He received a scholarship in 1913 to study in Germany, which put him in that country at the start of World War I; Chadwick was detained in a civilian prisoner of war camp. By 1919 he was back in England, conducting research at Cambridge University, where he was appointed assistant director of research of the Cavendish Laboratory in 1923. Chadwick returned to England eight years after Rutherford had discovered that atoms have tiny; dense nuclei. It was known that the nucleus held a positive charge, but only in multiples of the charge of a hydrogen nucleus. For example, helium had exactly twice the charge of hydrogen, but the helium nucleus weighed almost four times as much as the hydrogen nucleus. Scientists were wondering where this extra mass was hiding. Chadwick helped to answer this question in 1932 with his identification of the neutron, a particle in the nucleus with no electrical charge. As early as 1920, Rutherford had guessed that a neutral particle of some sort might exist in the nucleus. Experiments first conducted by Rutherford, then by Chadwick and other scientists, involved the bombardment of elements with alpha particles, positively charged particles discharged by radioactive material. This allowed scientists to analyze the effect of the release of nuclear particles and determine the mass of particles from the effects of the release. Chadwick devised an experiment in 1932 that answered the question about the unidentified source of mass in the nucleus. He smashed alpha particles into beryllium and allowed the radiation that was released to strike another target, paraffin wax. The radiation from the beryllium hit hydrogen atoms in the wax and knocked them into a detecting chamber. Only a particle with about the same mass as a hydrogen atom could kick out the hydrogen that way. Chadwick had shown that the collisions with beryllium atoms were releasing massive neutral particles, which he called neutrons because of their lack of charge. His identification of neutrons provided the explanation for hidden mass in atoms like helium and established the atomic weight as the combined mass of protons and neutrons. Chadwick won the Nobel Prize for Physics in 1935 for his discovery. He worked on the British atomic bomb project during World War II; he was a scientific advisor to the atomic bomb policy team led by J. ROBERT OPPENHEIMER, chief of the United States’ Manhattan Project, which produced the first atomic bomb. He was knighted in 1945. He died in Cambridge on July 24, 1974. Chadwick’s discovery of the neutron solved the puzzle of the weights of atoms and formed the foundation for investigating important questions in nuclear physics concerning the nature of the nucleus and the forces held within it. Nuclear physicists around the world soon began incorporating Chadwick’s discovery into new models of the nucleus. In 1935 Japanese physicist HIDEKI YUKAWA reasoned that, if the nucleus contains only neutrons and positively charged protons, the protons, all of the same positive charge, should repel each other and the nucleus would break apart. To answer this question, he suggested that some other particle must exist with a negative charge to help hold the nucleus together. This theory became known as the meson theory, named for the meson particles that Yukawa and other scientists eventually identified in the nucleus. Later modified and refined, the meson theory led other scientists to discover other types of nuclear particles; in 1965, the American scientists MURRAY GELL­MANN and George Zweig independently suggested that tinier building blocks, later termed quarks, composed the newly discovered particles within the nucleus. The discovery of the neutron helped scientists answer puzzling questions concerning radioactive isotopes, versions of chemical elements with varying atomic masses whose nuclei disperse extra energy through radiation. The analysis of the atomic weight of radioactive substances would help scientists identify the isotope forms of elements, and by 1935, the major isotopes were known for nearly all of the elements. Chadwick’s discovery was also important for experimental work. Because neutrons have no electrical charge neutrons fired from a source can penetrate deeply into thick layers of materials, reaching into the nuclei of target atoms. After Chadwick’s discovery, scientists around the world began bombarding all kinds of materials with neutrons. They discovered that when uranium is the target, nuclear fission is possible, which is the basis for nuclear power plants and nuclear weapons.